Below is a list of a few results our attorneys have obtained for clients charged with criminal and traffic offenses throughout Ohio. Please note that every case is different, and every case must be evaluated and handled on its own merits. The facts of each individual case are unique and the circumstances surrounding your case may differ from those of the cases from which the below results have been drawn. This list is not a comprehensive collection of all cases handled by our firm. The case results below are not necessarily representative of all of our clients’ outcomes or of the experiences of all clients of Riddell Law LLC. For example, in some cases, although we have given our very best effort, a favorable result cannot be obtained in the case. When that happens, our attorneys work toward minimizing the punishment imposed by the court. All cases described below were handled by Attorney Douglas Riddell. Not Guilty DUI Jury Verdict. Our client was pulled over in the early morning hours for having expired tags. Upon pulling him over, the officer testified that our client’s eyes were glassy and that he smelled an odor of an alcoholic beverage coming from the vehicle. Our client submitted to a series of field sobriety tests. However, the field sobriety tests were conducted out of view of the dash camera. Our client refused to submit to a breath test. Our client testified at trial. After a two-day trial, the jury returned a NOT GUILTY verdict on all charges. Our client’s car was spotted by police after the officer received a report of a suspected burglary. Our client was pulled over on suspicion of involvement in the burglary, even though he had nothing to do with it. There was no traffic violation or any indicia of impaired driving supporting the stop. Nonetheless, the officer testified at the motion hearing that he observed watery eyes on our client and noticed an odor of alcohol when he approached our client’s car. Our client failed the field sobriety tests, but refused the breath alcohol test. We filed a motion to suppress and held a motion hearing to suppress the results of the field sobriety tests. Ultimately, the court agreed with us and found the evidence insufficient to support probable cause for an OVI arrest. The OVI charge was dismissed. Our client was pulled over for speeding. Upon pulling him over, the officer reported that he suspected our client of impaired driving. Our client took and failed a series of field sobriety tests. A urine test showed a 0.11 BAC. Ultimately, due to flaws in the prosecution of the case, we were able to obtain a dismissal of all charges. Our client was pulled over for failing to use a turn signal. He submitted to and failed a series of field sobriety tests and a urine test. Mr. Riddell filed a motion to suppress the results of the field sobriety test and urine test and requested a motion hearing. Ultimately, the OVI charge was dismissed and the case was reduced to a no-point, non-moving violation (a physical control charge). Our client was pulled over and submitted a breath alcohol test, which returned a result over the legal limit (0.11). The case was amended to a non-moving violation (a physical control) and our client’s driver’s license suspension was terminated. Our client, a sales professional, was pulled over and charged with an OVI. He submitted to a breath alcohol test, which returned a result over over the legal limit. Attorney Douglas Riddell was able to negotiate a plea agreement under which the charge was amended to a reckless operation charge with no further suspension of our client’s license. Our client was caught going 79 mph on a 65 mph zone on the highway. He missed his initial court date and called our office soon after realizing he had missed the date. Upon negotiations with the prosecutor, we were able to ultimately obtain a complete dismissal of all charges. After attending a party with friends, our client was cited for underage drinking. Ultimately, we were able to negotiate a plea agreement with the Prosecutor’s office in which our client agreed to complete an underage drinking awareness class, after which all charges were dismissed. Our client was charged with theft after being accused of stealing several items from Macy’s. As a first time offender, we were able to negotiate an agreement under which our client completed an anti-theft class, after which we were able to obtain a dismissal of all charges. Our client was pulled over and submitted to a breath alcohol test, which returned a result over the legal limit. He was charged with an OVI in the Mason Municipal Court . After negotiation with the Mason Prosecutor’s office, we were able to obtain a reduction of the charge to a reckless driving offense. Our client was pulled over for a marked lanes violation and was subsequently charged with an OVI. Our client submitted to a breath alcohol test, which showed a result over the legal limit. After negotiation with the prosecutor’s office, Attorney Riddell was able to achieve a plea agreement under which the OVI charge was dismissed and the charge reduced to a reckless operation charge. Our client was involved in a traffic accident. After the police arrived, they reported an odor of alcohol and asked our client to submit to a breath alcohol test. He tested over the legal limit and was subsequently arrested and charged with an OVI. After negotiations with the prosecutor’s office, we were able to obtain a plea agreement under which the OVI charge was dismissed and the charge was reduced to a reckless operation, a non-OVI offense. The client was able to obtain driving privileges so that his employment would not be affected. Our client was pulled over for speeding. After the officer approached the car, he asked our client to submit to a breath alcohol test. Our client refused all tests. Ultimately, we were able to achieve a plea agreement under which the charge was reduced to a reckless operation charge, a non-OVI offense. Speeding Ticket Reduced to No Point Offense. Our client, a CDL holder, was charged with 2 point speeding offense. He was particularly concerned about the ticket as it could affect his ability to continue his employment as a commercial truck driver. After negotiating with the prosecutor, we were able to achieve a result in which the charge was amended from a two point speeding offense to a no point offense. Our client was charged with a two point red light violation. As he drives for a living as a salesman, he was particularly concerned about having the case off of his traffic record. Ultimately, we were able to achieve a negotiated settlement in which the case was dismissed. Failure to Stop for a School Bus Dismissed. 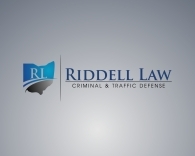 Our client was charged with failure to stop for a school bus–a four point traffic offense in Ohio, carrying possible jail time and a potential driver’s license suspension. After negotiations and filing a motion to suppress, all charges were dismissed. Driving Under Suspension Charge Dismissed. Our client was charged with driving under suspension. After extensive settlement negotiations with the prosecutor’s office, our client’s driving under suspension charge was dismissed. Our client was charged with speeding in a construction zone. After negotiations with the prosecutor, we were able to achieve a plea agreement under which all charges were dismissed. Our client was charged with a hit-skip, a six point offense that carries a mandatory driver’s license suspension under Ohio law. After negotiations with the prosecutor’s office, the hit skip charge was reduced to a lesser offense that did not carry the mandatory suspension of his driver’s license. Our client was charged with a hit skip, a six point offense. After reviewing the facts, we discovered evidentiary flaws in the prosecution’s case. Ultimately, we were able to obtain a plea agreement under which all charges were dismissed. Our client was charged with assured clear distance ahead (ACDA) and failure to control after being involved in an accident. After negotiations with the prosecutor’s office and discussions with the arresting officer, all charges against our client were dismissed. Ohio State Student's Theft Charges Dismissed. Our client is a college student who was was charged with theft from Kroger. Ultimately, we achieved a plea agreement under which all charges were dismissed after our client attended an anti-theft class. Our client is a college student who was charged with underage consumption and possession of alcohol. After negotiation with the prosecutor’s office, we were able to obtain a plea agreement under which all charges were dismissed. Our client was charged with criminal damaging and disorderly conduct following a night of partying after a golf tournament. Ultimately, we were able to negotiate a settlement under which all charges against our client were dismissed. Hazing and Assault Charges Dismissed. Our client, a college student, was charged with hazing and assault as part of a sorority prank gone wrong. After negotiations, we achieved a plea agreement under which all charges were ultimately dismissed. Our client was charged with hosting an underage drinking party at his home. Following settlement negotiations, including identifying defenses and weaknesses in the prosecutor’s case, all charges were dismissed. Our client was driving home from a night out with friends when she was pulled over for speeding and driving left of center. She admitted to the officer that she had been drinking. She submitted to field sobriety tests and to a breath alcohol test, and failed both. Mr. Riddell was able to obtain driving privileges for her while the case was pending so that she could continue her employment. Ultimately, after negotiations with the prosecutor’s office, we came to a plea agreement under which her case was reduced to a physical control – a non-moving violation carrying zero points.